When an epidemic or health crisis occurs, faith leaders are generally not the first people the government consults. However, as an epidemic persists, often these are the very people that can most influence behaviour in a country. 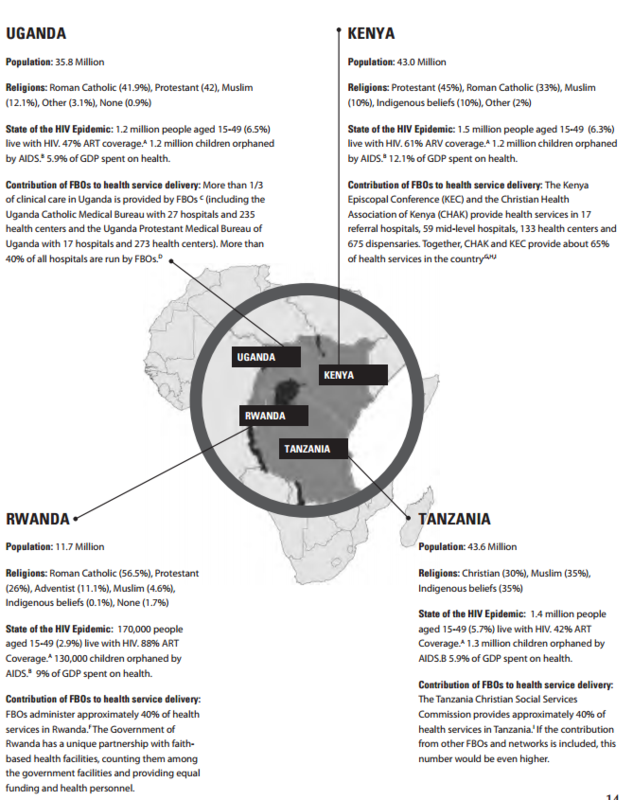 As a result, during the HIV/AIDS crisis in Africa, faith leaders and their communities became the primary distributors of prevention education and antiretroviral treatment. They were also the main group helping to care for orphans and vulnerable children. The first action was to convene a National Religious Leaders Task Force on Ebola. Imams, pastors and other religious leaders were trained in the area of basic Ebola prevention. They then encouraged the president to declare a national public health emergency, outlining measures to curb the Ebola outbreak. As a result, faith leaders were tasked with the responsibility of busting myths surrounding the virus. For example, because they work so closely in the community, faith leaders discovered that people were hiding their sick and dead loved ones in their homes, which was exacerbating the virus as the corpse is at its most infectious stage. They could then step in and make sure people understood how dangerous this practice was. The second was reaching paramount chiefs and their leading imams, pastors and priests to implement codes of conduct for behaviour change to prevent further spread of Ebola. It became evident that traditional burial practices were spreading the virus. Even though health agencies were giving instructions on proper burial practices, people felt their religious convictions were being violated. It is important to note that religion profoundly dictates behaviour. Faith leaders were able to listen to the people, and lead them to create a new safe, culturally and religiously sensitive burial. This particular intervention by faith leaders was a turning point in the decline of infections. The third was continuing educational workshops by faith leaders to assist in building trust in bio-medical treatment. Many of these were based on the divine scriptures of the Qur’an and the Bible. This gave people dignity in their faith and helped them to integrate health practices with that faith. These workshops were held over an eight month period with some 18,840 focus groups on Ebola prevention and treatment. Because many of the faith-based organizations were in remote areas, and as they had managed to develop trust over a long period of time, they partnered with others in developing smaller community care centres. The National Academy of Sciences in the UK stated that this action prevented an estimated 57,000 Ebola cases and 40,000 deaths in Sierra Leone. The fourth is the manner in which this interreligious task force continues to work together in rebuilding the lives of people and the nation in post-Ebola recovery. They have been a model of partnership over the past two decades, as they were also central to the efforts to bring an end to the brutal civil war that engulfed Sierra Leone for a decade, as well as tackling scourges like cholera and malaria. It is imperative that this model of cooperative leadership be passed on to the next generation of faith leaders.